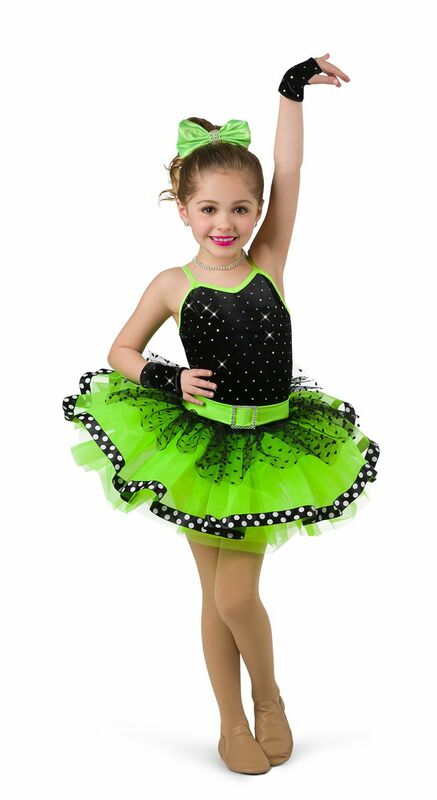 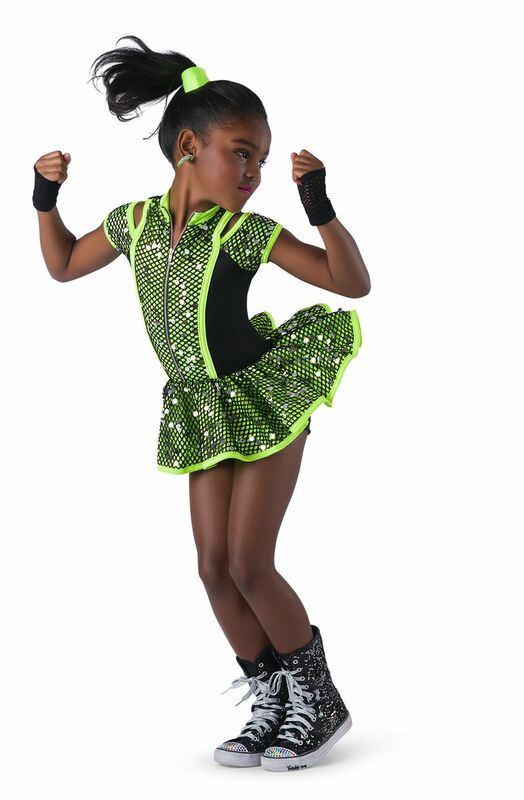 Sequin big hole mesh over flo-lime and black spandex cold shoulder shortie unitard with front zipper closure and attached skirt. Binding trim. Imported.